Shane and Stephanie McMahon opened tonight's edition of Monday Night Raw, hoping to get the crowd pumped with the first switch in the Superstar Shake-up. While that did happen, all did not go according to plan for the McMahons. Shane McMahon has been involved in a bitter feud with The Miz over the past few months. Prior to that, they were known as the "Co-Besties" and former SmackDown Live Tag Team Champions. As a duo, they were incredibly successful, even besting arguably one of the greatest tag teams in the world, The Bar, to earn the belts. However, after dropping the titles to The Usos at Elimination Chamber, the cracks started to show. A month later at Fastlane, The Miz was assaulted by his former best friend after losing their rematch for the titles. Since then, Shane-O Mac has been tormenting the A-Lister and his father every Tuesday night. At WrestleMania, McMahon managed to pin The Miz in controversial fashion. 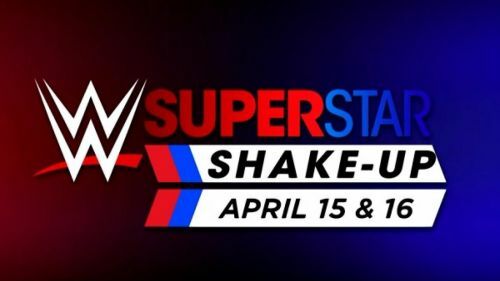 As Stephanie and Shane went to announce the first talent involved in the Superstar Shake-up, The Miz's theme song hit. Shane quickly tried to escape the ring but was attacked by his former partner. The Miz beat him around ringside. However, Shane eventually got the better of him, leaving him busted open as he escaped up the ramp. With The Miz officially off SmackDown Live, it seems that his feud with Shane McMahon will be wrapping up sooner rather than later. After that, it wouldn't be surprising to see the future Hall of Famer go after the belt that he helped rebuild, the Intercontinental Championship. Or, if he's looking to move on to bigger and better things, facing off against Seth Rollins for the Universal Championship would be captivating, to say the least.